72-piece puzzle. 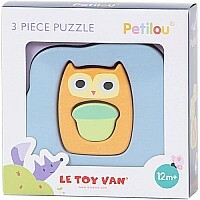 A new version of our shaped box puzzles. More pieces, more challenging. 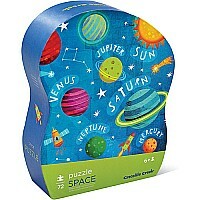 High -quality floor puzzle in wonderful, heavy-duty, contour-shaped gift box. Conforms to or exceeds both U.S. and European safety standards. For ages 6+. 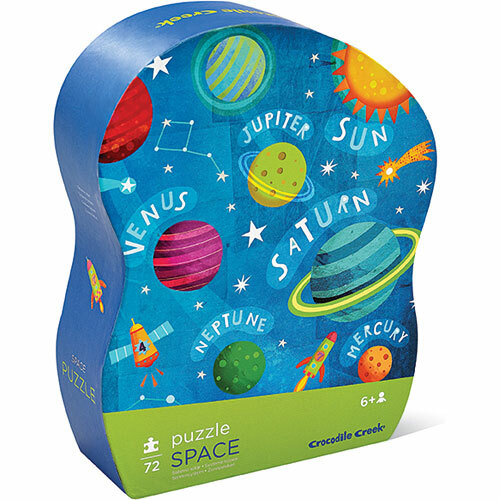 72 thick puzzles pieces that fit together well for kids ages 6 and up. Puzzle pieces are made of strong, high-quality blue board that will not tear or break. Printed with soy-based inks. 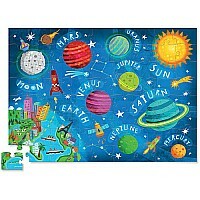 Beautifully illustrated artwork on both puzzle and shaped storage box. 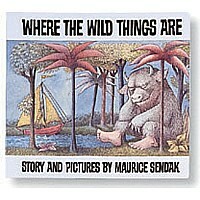 Recommended for ages : 6 to 7. Measures approximately: 14.00 x 0.15 x 19.00 inches..